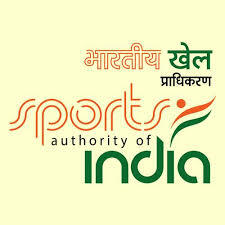 The Sports Authority of India officially known as Sports India is an apex National Sports body set up in 1984 by the Ministry of Youth Affairs and Sports of Government of India for the development of sport in India. Senior Manager (Marketing): Candidates who have completed class MBA or equivalent qualification in Marketing from a recognized University/Institute or equivalent from a recognized Institute for SAI Recruitment 2018. Senior Manager (Communication): Candidates who have completed class A degree/diploma in Mass Communication and Journalism/ MBA or equivalent from a recognized Institute for SAI Recruitment 2018. Senior Research Officer: Candidates who have completed class Masters/Post Graduation in Sports/Management/Research or equivalent from a recognized Institute for SAI Recruitment 2018. Assistant Manager: Candidates who have completed class Masters Degree in relevant subject or technical qualifications like B. Tech., MBA or equivalent from a recognized Institute for SAI Recruitment 2018. Research Officer/Analyst: Candidates who have completed class B.Tech, B.E or equivalent from a recognized Institute for SAI Recruitment 2018. Manager (Marketing): Candidates who have completed class MBA/PGDM in Marketing or equivalent from a recognized Institute for SAI Recruitment 2018. Assistant Manager (Marketing): Candidates who have completed MBA/PGDM in Marketing/Public Relations/ Sports Management having good knowledge of IT/Computers or equivalent from a recognized Institute for SAI Recruitment 2018. Senior Manager (Marketing): 55 years. Senior Manager (Communication): 55 years. Senior Research Officer: 55 years. Eligible & Interested candidates can download the Notification & Application form on the Official website page at www.sportsauthorityofindia.nic.in SAI Recruitment 2018.